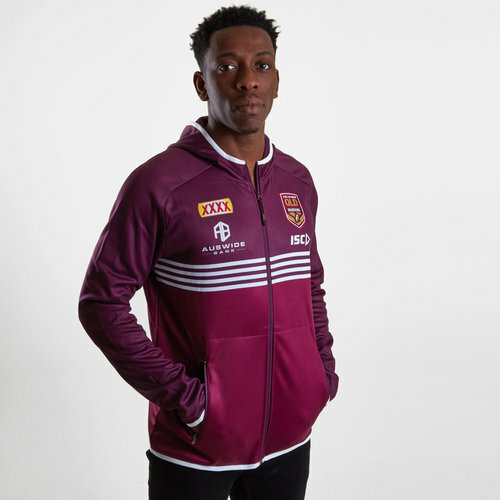 Cheer on the Canetoads with this Queensland Maroons State of Origin 2019 Players Hooded Rugby Sweat from ISC. This zip-up hoodie has been crafted from brushed fleece. It has been cut in a contemporary design with simplistic styling throughout. It is maroon with 4 white stripes across the chest and white trimming around the hood. The ISC logo is on the left side of the chest just underneath the team badge.